Undefeated WBO champions Óscar Valdez and Gilberto "Zurdo" Ramirez will headline and exciting world championship event on Friday, September 22, at Tucson Arena, in Tuscon, AZ. Valdez (22-0, 19 KOs), a two-time Mexican Olympian with strong roots in Tucson, will be defending his WBO featherweight title against the WBO's No. 4 world-rated contender Genesis Servania (29-0, 12 KOs), of Bacolod City, Philippines. WBO super middleweight champion Ramirez (35-0, 24 KOs), from Mazatlan Mexico, will take on No. 1 contender and mandatory challenger Jesse "Hard Work" Hart (22-0, 18 KOs), of Philadelphia, PA. The four warriors boast a perfect combined record of 108-0 (73 KOs) with nearly 70% of their victories coming by way of knockout. The undercard will feature undefeated Puerto Rico sensation and No. 1 lightweight contender Felix "El Diamante" Verdejo, Irish Olympic hero Michael "MICK" Conlan and undefeated junior welterweight contender Alex Saucedo in separate bouts. Both world championship fights will be televised live and exclusively at 10:30 p.m. EDT on ESPN and ESPN Deportes and stream live on the ESPN app. "Fighting in Tucson is special to me because I know a lot of people there and I'm very happy to defend my world title in that great city; it's a special treat for me and hopefully it will be a special treat for the fans." said Valdez. "This will be my third title defense and God willing there will be many more. I want to represent my people of Mexico like all the legendary warriors from the past. My opponent is extremely tough and undefeated, which is a dangerous combination. "I'm not underestimating him at all. I'll be ready for his best. I prepare like I'm fighting the best of the best every time out. Fighting on ESPN is a big honor for me. Being able to reach a huge audience and to showcase my boxing skills is extremely important for my career. "I'm grateful for the opportunity. I love Tucson. I grew up here, have family here and some of my best friends are here. I am proud to be a world champion. But I am facing a fighter who wants to take it all away from me in my hometown. "That is why I am running longer, training harder to win and keep my world title. The greatest thing of being on ESPN is that they will show the world what all of us on this card are all about." "I am very excited about this bout because I have waited so long, several years as a highly-ranked contender, for this chance at the world title; thank you so much to Top Rank for giving me this chance, and to the champion for accepting my challenge," said Servania. "I respect Oscar Valdez. He has a great Olympic background, and has proven his ability as a professional. However, I am ready for this fight and I will do my best on September 22. I am training hard now in Japan to bring the belt back to Kashimi Boxing Gym in Kanazawa. "Many thanks to all my family and friends in the Philippines and around the world for your love and support. I want to give a special thanks too to all the people in Japan supporting me and inspiring me to realize my dream of becoming world champion." "I was waiting for this fight way before I became a champion, but they said he wasn’t ready for me; it is ok that he has been talking a lot, I just hope that he is prepared to fight the same way he has been talking, I hope he is ready to fight and not to run, and to just try to survive," said Ramirez. “I want to give the fans a great fight and I hope Hart comes with the same mentality, so we can make it happen. I ’m happy to be back in action and make my second world title defense. This is the first time that I will fight in Tucson and I’m really excited to fight in this great city. There will be a lot of Mexican fans in attendance and I want to give them a great show.
" I’m very excited to fight on ESPN. All the boxing fans will have the chance to watch the fight. This is a great opportunity on a very big platform where I can show the whole world why I’m the best champion in the super middleweight division. Jesse Hart made it personal, saying very bad things about me. He is going to pay for talking like this. I am going to hit him hard and drive him straight down to the canvas. "You don't talk about a champion the way he is talking about me. I worked hard starting in street fights in Mexico years ago. Then came professional boxing and now I am a world champion. This is my biggest fight and it's on ESPN for all to really see what being a champion is all about." "I am going to be pitching some heat onto Ramirez; I am going to throw so much he will have to think for himself and not look to his corner for help like he does a lot during a fight. Either he's going to quit in the ring or I am going to knock him out," said Hart. "This is the big fight I've always wanted. My father 'Cyclone' is with me. Don't tell me how tough Ramirez is. He hasn't had a knockout in years. All of the pressure is on him, not me. This is my fight." "From top to bottom this is a card that will feature the stars of boxing's new era," said Hall of Fame promoter Bob Arum. 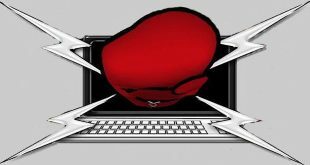 "Oscar Valdez and Gilberto Ramirez, young world champions, risk their world titles in battles of the undefeated, plus rising stars Michael Conlan, Felix Verdejo and Alex Saucedo will give the fans in Tucson, and those tuning into ESPN, ESPN Deportes and the ESPN app, a night of exciting fights." Valdez (22-0, 19 KOs), from Nogales, México, and who represented México in the 2008 and 2012 Olympics, was the first Méxican fighter to qualify for two Olympic games. He is considered one of the bright lights of the featherweight division and a new face for boxing's next generation. He will be making the third defense of the world title he won on July 23, 2016 via a second-round knockout of undefeated No. 2 rated Matías Rueda. Rueda entered that fight having won his previous 10 bouts by stoppage. In his first defense, which took place, on November 5, he blasted out No. 1 contender Hiroshige Osawa via a seventh-round TKO. 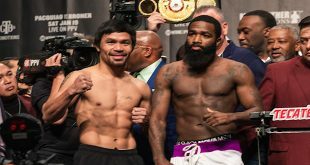 In his 2017 debut, his first pay-per-view event that featured him in the main event, Valdez, 26, went toe-to toe for 12 rounds with No. 1 contender Miguel Marriaga, winning a unanimous decision. Marriaga, a three-time world title challenger, went into that fight having won 15 of his previous 19 bouts by way of knockout. Servania (29-0, 12 KOs), who hails from Bacolod City, Philippines and fights out of Kanazawa, Japan, will be making his U.S. debut. Known for his aggressive style and good skills and movement, Servania is always in top condition. He returns to the ring in his first bid for a world title fresh from a second-round TKO victory of Ralph Lulu on April 29, for the vacant WBO Asia Pacific featherweight title. He is currently world-rated No. 4 by the WBO and No. 7 by the IBF. Ramírez (35-0, 24 KOs), a two-fisted super middleweight wrecking machine who hails from Mazatlán, México, made history in the co-main event to the Manny Pacquiao vs. Timothy Bradley welterweight pay-per-view on April 9, 2016, when he became México's first fighter to win a super middleweight world title. Entering the fight as the top world-rated contender, Ramirez gave a virtuoso performance over the defending WBO champion Arthur Abraham. All three judges scored it as a 120-108 blitzkrieg. "I took him to Méxican boxing school," a jubilant Ramírez boasted as he put on the world championship belt . A sensational young champion, Ramírez, 26, had been scheduled to make his first title defense in July 2016, but a training camp injury to his right hand followed by surgery and rest sidelined him for the remainder of the year. He returned to on April 22, winning a unanimous decision over Top-10 contender and one-time world title challenger Max "Tiger" Bursak. Hart (22-0, 18 KOs), the son of Philadelphia boxing legend Eugene "Cyclone" Hart, has transformed from a sensational prospect into a hot contender. Trained by his father, the highly-rated middleweight contender of the late '60s and early '70s, the younger Hart, at age 28, enters this fight having won nine of his last 10 bouts by way of knockout. He captured the NABO and USBA super middleweight titles in 2015, knocking out Mike Jimenez in the sixth-round. He successfully defended those titles four times during his two-year reign, including a fifth-round stoppage of Alan Campa on April 8, en route to his No. 1 world ranking by the WBO. 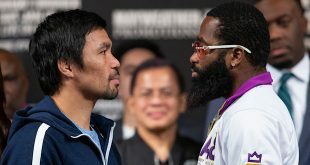 Promoted by Top Rank and Peltz Boxing, tickets to this world championship doubleheader are priced at $102, $77, $52 and $27, tickets may be purchased at any Ticketmaster outlet, online at www.Ticketmaster.com, by phone at (800) 745-3000, or by visiting the Tucson Convention Center ticket office.